If you enjoyed the Power Rangers comics from BOOM! Studios, 2019 is going to be quite the year for adding to your collection. BOOM! Studios will be releasing Mighty Morphin Power Rangers Vol. 8 and Go Go Power Rangers Vol. 4 in 2019, and you'll probably want to pick up both of them. If you enjoyed Shattered Grid you'll definitely want to pick up Mighty Morphin, as it contains the big finale to the much-celebrated event in trade to read all in one place. Mighty Morphin Power Rangers Vol. 8 is written by Kyle Higgins and drawn by Daniele di Nicuolo and Diego Galindo. The official description can be found below and you can pre-order it here. "The epic conclusion of Mighty Morphin Power Rangers’ first comic book crossover event: Shattered Grid! As Lord Drakkon comes ever closer to conquering all of existence, Power Rangers from across all eras answer the call to join forces against his armies. As new friends and old foes come together in the Rangers’ darkest hour, the entire legacy of the Mighty Morphin Power Rangers hangs in the balance. Join Kyle Higgins (Nightwing) and artist Daniele DiNicuolo (Mighty Morphin Power Rangers: Pink) in the epic conclusion to the ultimate war against Lord Drakkon with the final installment of the critically acclaimed event, Shattered Grid." 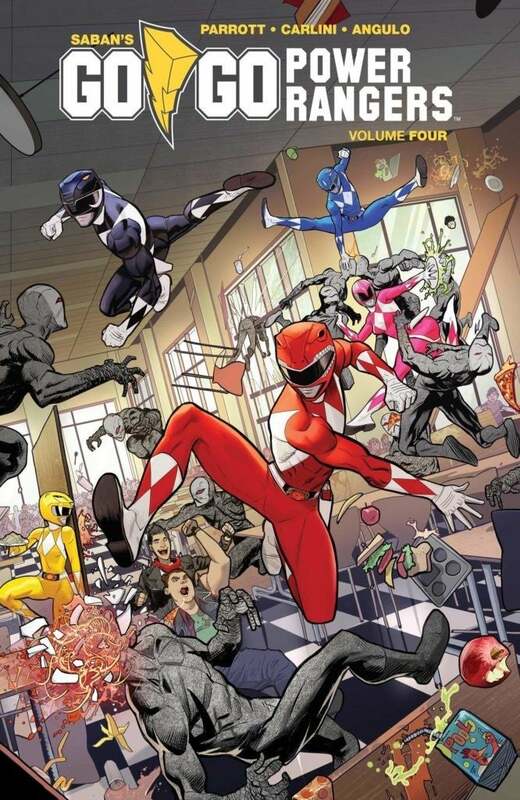 Fans can also grab the next chapter of Go Go, which features the much-anticipated swapping of Ranger colors teased at Power Morphicon, a story that just kicked off in the most recent issue. Go Go Power Rangers Vol. 4 is written by Ryan Parrott and is drawn by Eleonora Carlini and Raul Angulo. The official description can be found below and it can be pre-ordered here. "After failing several times against the Mighty Morphin Power Rangers, Rita Repulsa returns to a conquered planet to retrieve a weapon she vowed to never use. In the aftermath of the bestselling Shattered Grid event, the Mighty Morphin Power Rangers must stop Rita’s sinister plan to acquire a new weapon. But when Jason and Trini follow Rita into a magic portal, they get more than they bargained for when their connection to the Morphin Grid gets crossed and their powers become transposed. Written by Ryan Parrott (Star Trek: Manifest Destiny) and illustrated by Eleonora Carlini (Batgirl), this arc of Saban’s Go Go Power Rangers gives the Power Rangers a new look like never before!" Mighty Morphin Power Rangers Vol. 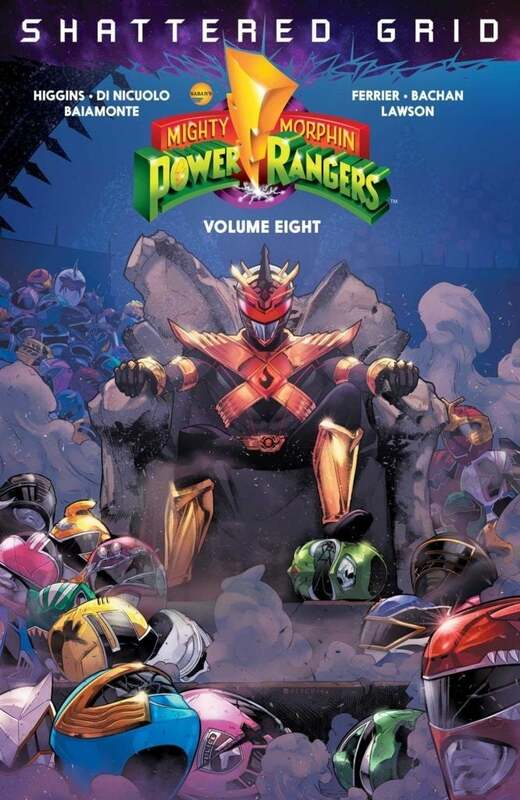 8 is in comic stores on May 7th, 2019, and will retail for $16.99. Go Go Power Rangers Vol. 4 hits comic stores on July 9th, 2019, and will retail for $16.99 as well. Are you planning on picking these up? Let us know in the comments!